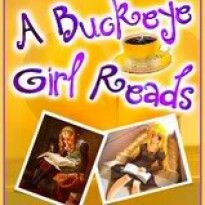 Melinda Lightfoot, a preschool teacher with an unusual ability to flit in and out of fairy tales, never thought she would get into trouble… …until the Fairy Tale Police arrest her while she is in Beauty and the Beast. They offer her a deal: Find Beauty, who left the story when Melinda trespassed into it, or be charged with the ultimate crime — Fairy Tale Killer. If that’s not bad enough the Beast tags along in search of his true love, and Melinda starts falling for the fairy tale prince. She must choose between doing the right thing and having her own happily ever after. I was glad I waited until all 9 chapters were out to read the whole thing, because I couldn't get enough of Melinda's story. 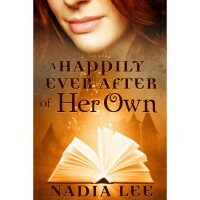 It's a delightful story & it's for those of us who have always wondered what happened after the words "happily ever after" were written in the fairy tales we read. The problem I normally have with novellas that are this short is that I have a really hard time getting into the storyline & characters because they are just over too fast. Not so with this one. I loved Melinda's spirit, and the Beast is so swoon-worthy. I might be a little bit biased because I've gotten to know Nadia over the last month or so through twitter, but I think I would have loved the story even if I didn't know her. While this book doesn't have a Christmas theme, the storyline of doing what's right, and thinking of others first, definitely fits in with what Christmas is all about. The chapters are fairly short, and it's a perfect read for during the week.